Welcome to The Fellowship Players! The Fellowship Players have been providing live theatre in Walsall since 1947 and have recently celebrated our 70th season. We usually perform four plays a year at the Grange Playhouse, Broadway North, Walsall. “Grown women, aching feet and heaving bosoms!” Follow the Cheshire Cats team as they speedwalk their way to fundraising success in the London Moonwalk. Hilary, Siobhan, Yvonne, Vicky and Maggie are attempting to walk thirteen miles across the capital in record time in their decorated bras and posh new trainers, but the sixth member of their team doesn’t seem to meet the physical criteria! Cheshire Cats is a cross between a girls’ night out and a real mission to support a cause close to many hearts, with plenty of laughs and a few tears along the way. It is a tribute to all those who participate in and marshal the Moonwalk and other charity walking events everywhere. This amateur production of “Cheshire Cats” is presented by special arrangement with SAMUEL FRENCH LTD. The Farndale Avenue Housing Estate Townswomen’s Guild Amateur Dramatic Society ladies mount yet another assault on the classics with a startlingly original production of “Macbeth” staged to get them to the Welwyn Garden City finals. Things do not go exactly to plan….. Under the carefully mascaraed eye of adjudicator George Peach, all events conspire hilariously against them. No previous knowledge of Shakespeare is needed to realise that the Farndale ladies’ unique interpretation of this tragic play isn’t exactly what the Bard had intended …. there is considerably more (unintentional) comedy for a start. 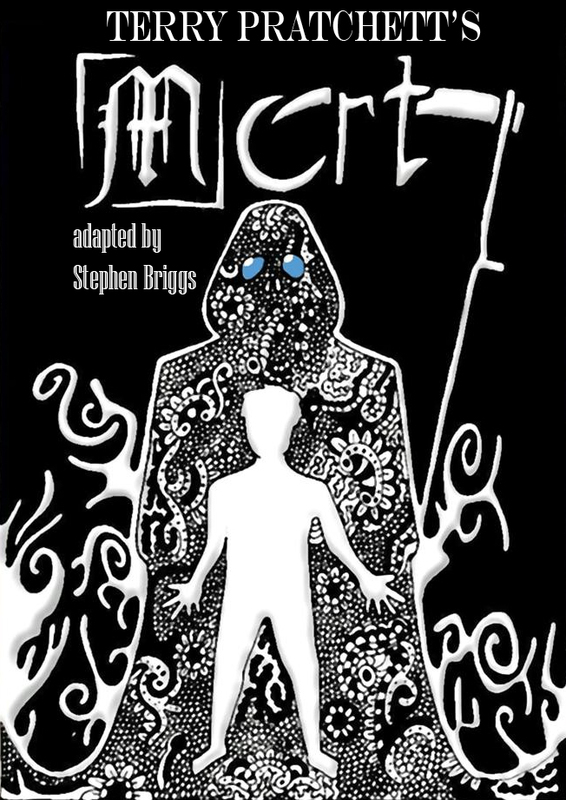 This is Macbeth as you’ve never seen it before! by David McGillivray and Walter Zerlin Jnr. 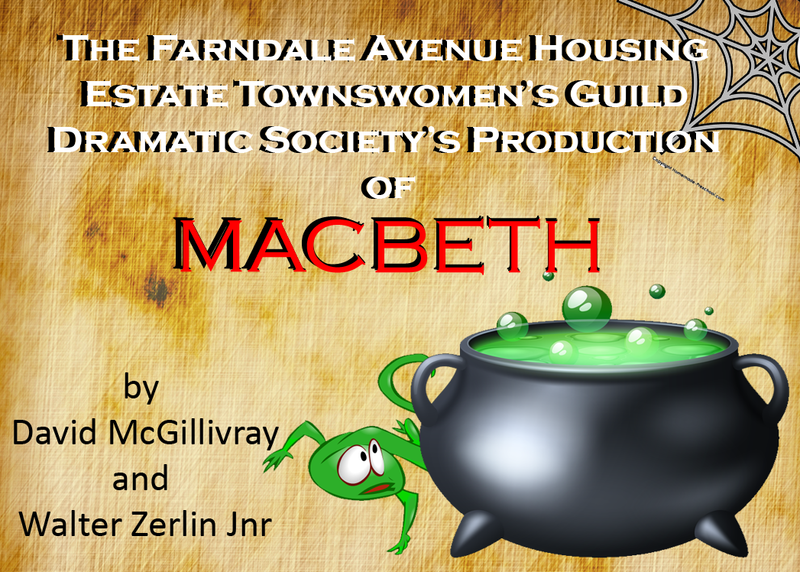 This amateur production of “Farndale Avenue… Macbeth” is presented by special arrangement with SAMUEL FRENCH LTD.
Death comes to us all. When he comes to Mort, however, he offers him a job. But when Mort is left in charge for an evening, he allows his heart to rule his head and soon the whole of causality and the future of the Discworld itself are at risk. Along the way, Mort encounters not only Death’s adopted daughter Ysabell (who has been 16 for 35 years) and his mysterious manservant Albert (whose cooking can harden an artery at ten paces) but also an incompetent wizard with a talking doorknocker and a beautiful but rather bad-tempered, and dead, princess. He also, of course, meets Death. This amateur production of “Mort” is presented by special arrangement with Colin Smythe. 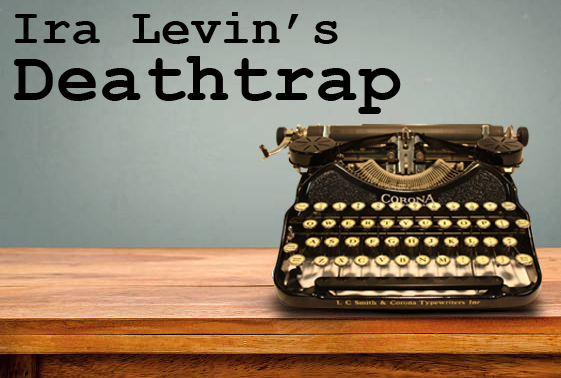 ‘Deathtrap’ by Ira Levin is a hugely popular stage and screen success. This ingeniously constructed play offers a rare and skilful blending of two priceless theatrical ingredients: gasp-inducing thrills and spontaneous laughter. 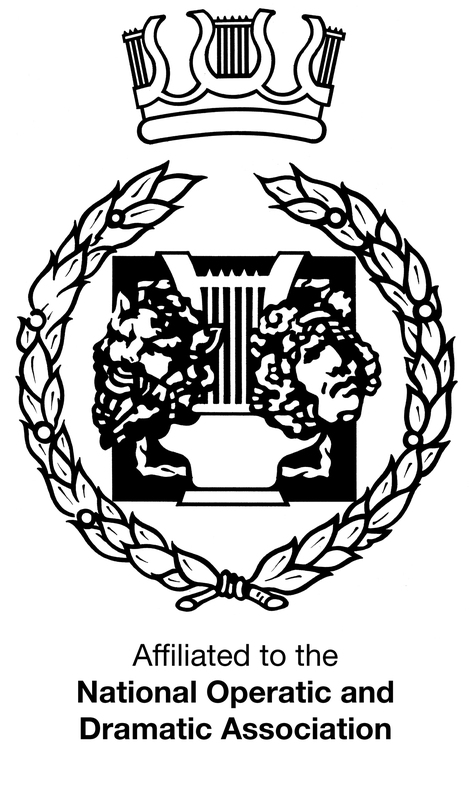 Unknown dramatist Clifford Anderson has sent his new thriller to award-winning Broadway author Sidney for comment. Without a success to his credit for some years, Sidney plots with his reluctant wife Myra about how best to plagiarise ‘Deathtrap’ and when Clifford turns up to discuss the play with the ‘Master’ events take a sinister turn. The suspense mounts steadily as the plot begins to twist and turn with devilish cleverness and with such an abundance of thrills and laughter that audiences will be held spellbound until the final, startling moments. This amateur production of “Ira Levin’s Deathtrap” is presented by special arrangement with Samuel French Ltd.